Wheels snap on easily with unique built-in cotter pin. Easily Converts from a Beach Cart to a Table;Weight capacity of 75 lbs. Carrying Up to 4 Chairs, Umbrellas, Towels and other Beach Items. 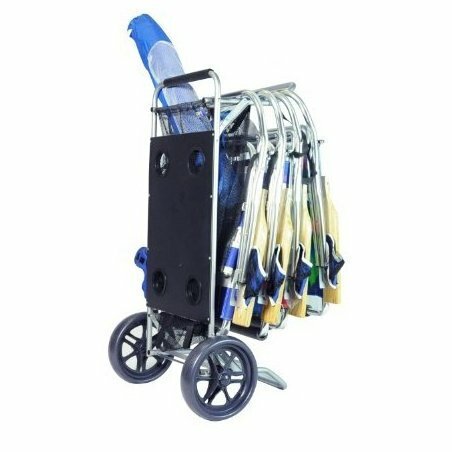 Removable Wheels allows Cart to Fold Almost Flat for Easy Storage. Powder Coated Steel Tubing Frame for Rust-Resistance.